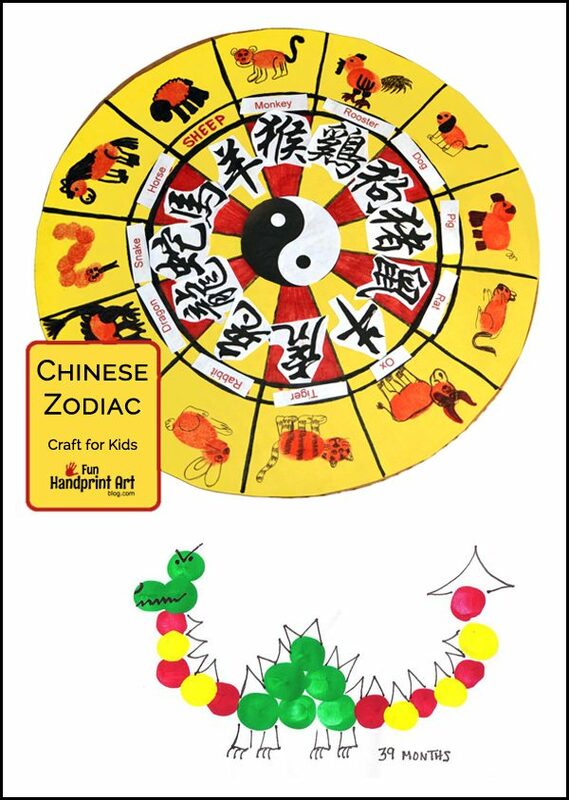 This year for Chinese New Year, we decided to make a thumbprint Chinese zodiac craft and a paper bag handprint Chinese dragon puppet. My son it and will be making his own later today. I made this one with my daughter but since Big Brother is into drawing, he will probably look at this one and draw the animals instead. You could also print clipart and have the child glue them in place. At the end of the post are even more Chinese New Year crafts to make with kids! Start by tracing the cardboard circle on to yellow or white construction paper, then cut it out. Fold the circle in half, then half again. Fold into thirds so when you open it back up it has twelve triangles. Use a ruler to draw lines with a marker where the folds are. Towards the top of each section is where you will be making the Chinese animals. 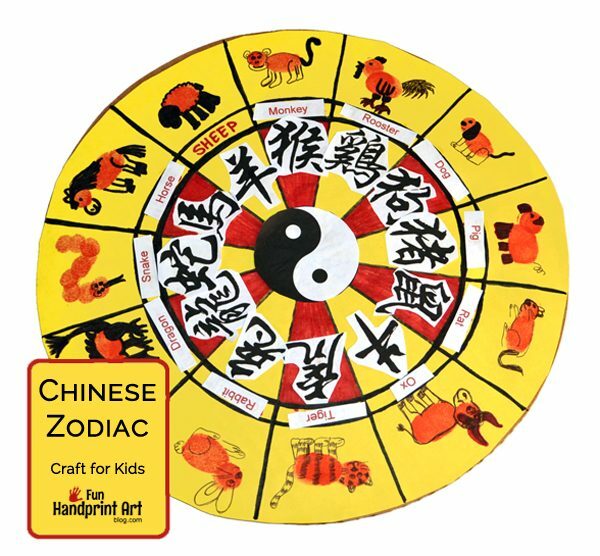 Look at an image of a Chinese Zodiac chart to see the order in which the animals are placed. Use thumbprints and fingerprints with either red ink or paint to make the animal bodies and heads. Keep in mind that harder press will make ovals and light presses using the of the finger will make a circle. Use a black marker or pen to draw in the animal details. These are the animals you will be making: rat, pig, dog, rooster, monkey, sheep, horse, snake, dragon, rabbit, tiger, and ox. Draw a ring inside the circle just below the animals. Color every other triangle red. Print the Chinese characters/words for each animal. The ones we printed were a bit large so try to print it smaller if possible. Cut everything out and glue it to the corresponding animal. Print or draw a yin yang symbol for the center. Hang it up or let the kids play with it. Use the chart to help them learn what each of the Zodiac signs mean such as characteristics. Don’t forget to tell them which sign they are! Want to make the dragon craft shown in the photo? Head over to this fingerprint dragon post to see how to make it! 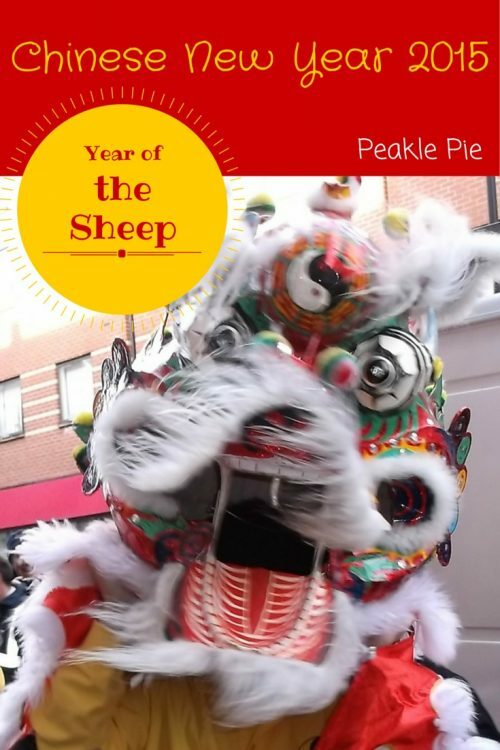 We invite you to add your Chinese New Year posts to the linky below! A clever idea. The animal thumbprints are very cute. My kids would love this. I am glad I found your Fun Handprint Art Blog. I spent a few minutes flipping through the different posts and there are so many fun ideas! I’ll be back to try more soon!